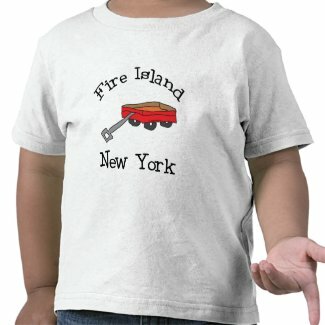 Fire Island t-shirts and clothing with little red wagons, flip-flops, and flashlights at night – the order of the day for Fire Island Lovers. Our line of Fire Island shirts capture the essence of what makes Fire Island special to Fire Islanders. 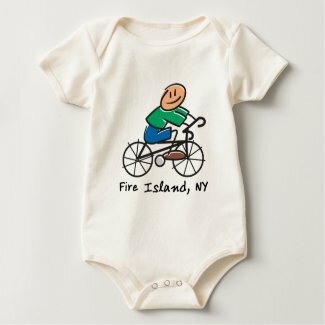 Shop tees, tank tops, long sleeve shirts, infant onesies, toddler tees and jerseys.Fire Island is about 30 miles long and half a mile wide. And for those who vacation on Fire Island in the summer, it’s the perfect size. Most Fire Island vacationers are thrilled to leave the modern day conveniences behind to jump aboard the ferry boat that takes them to this truly unique get-away-from-it-all summer retreat.